Summer storms are running rampant this year, and with rain comes the very real possibility of dirt, mold, and moss accumulating on your damp wooden fences. Simple upkeep on your wooden fence can lengthen its life and keep it looking good for years to come. This week, we will discuss the importance of maintaining your wooden fence and provide some tips on the best way to keep it looking clean and brand new! Simple upkeep on your wooden fence can lengthen its life and keep it looking good for years to come. Pressure washers can be a great tool to get that mold and mildew off your fence quickly and easily. However, you have to be very careful when using them, as they can just as easily strip the wood off your fence as they can the dirt. Choose a less powerful one; somewhere between 1,500 and 2,000 psi works best. Start out at least three to four feet away from the fence – remember, you can always move closer if you need to. Spray in a sweeping arc, being careful to reach each area of the fence. Thoroughly cleaning your wooden fence with a power washer will prepare your fence for the next step: applying a stain. 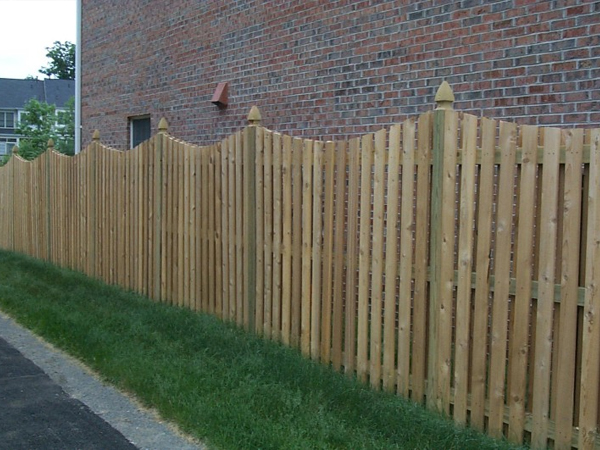 Before applying the stain, make sure the wooden fence is completely dry. After you power wash it, you may want to let it sit for at least a full 24 hours (48 hours if it’s cold or humid). Choose an exterior semitransparent oil stain, which will add an overall color tone while sealing the wood and still allowing its natural grain and color variations to shine through. With a paint roller, work the sealer into all recesses of the fence, taking care to allow the wood to soak it in as much as possible. 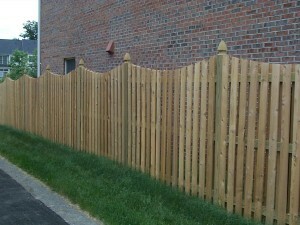 Since fences usually take a beating from all sorts of weather, you can expect the stain to last about three years. This entry was posted on Wednesday, July 1st, 2015 at 4:01 pm. Both comments and pings are currently closed.